Hey all… Today am back with another DIY. 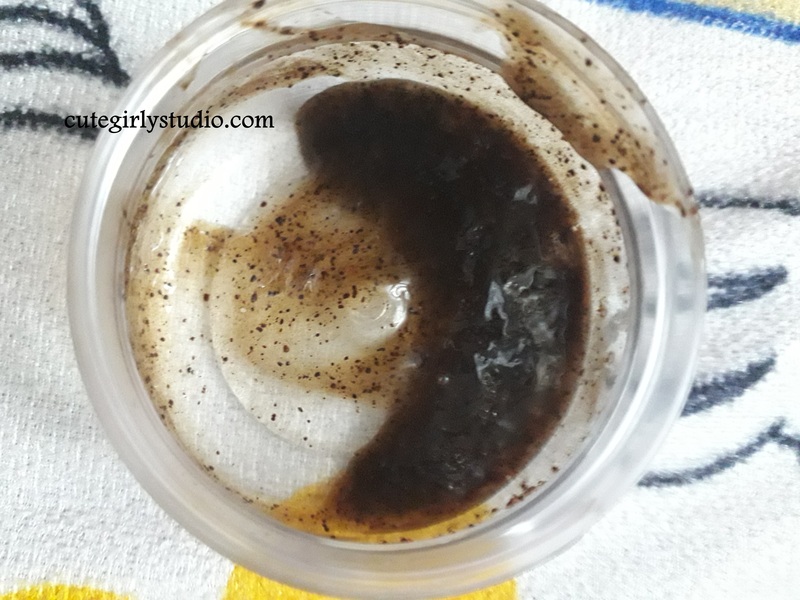 I have shared Overnight hair mask for hair growth, if you haven’t checked it you can read it here. Today I’m going to share overnight gel eye mask for dark circles. Dark circle makes you look aged and it also makes your face look dull irrespective of your even toned skin. Stress not only gives acne and hair fall it also leads to dark circles. Our lifestyle includes prolonged usage of mobiles, tablets and laptops which eventually leads to dark circles. So if you want to remove dark circle , then try this gel eye mask to remove stubborn dark circles. HOW TO MAKE GEL EYE MASK TO REMOVE DARK CIRCLES ? Take a clean bowl and add 2 spoons of aloe vera gel to it. To the aloe vera gel add 1 spoon coffee powder, make sure that the coffee powder is soft and smooth. If you use coffee granules then you end up scrubbing your eye area. You may try instant coffee powder. 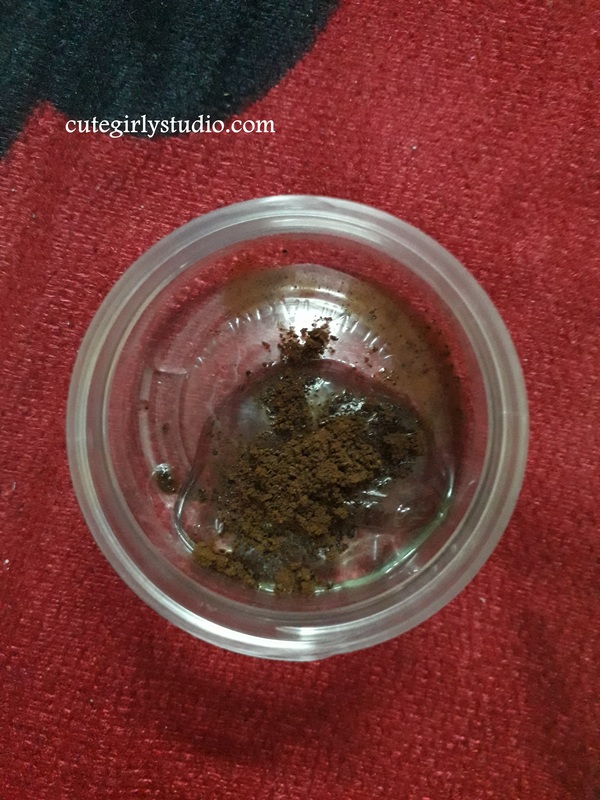 Mix aloe vera gel and coffee powder. To this add few drops of rose water and 1 spoon of potato juice. Mix all the ingredients well. If you wish you can add few drops of vitamin E oil and sweet almond oil for added benefits. Our gel eye mask for dark circles is ready to use. You can store it a container and use it whenever needed. After cleansing toning and moisturizing your face, take some gel and apply a thick layer all around your eyes and go to sleep. You can wash your face next morning with your regular cleanser . 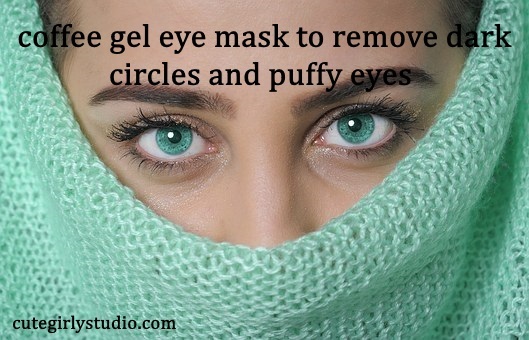 Follow this on alternated days to remove dark circles and puffy eyes. Why I use these ingredients? Aloe vera gel is one of the best ingredient that you can use for beauty purpose. Aloevera gel is rich in vitamin A, C, B12, E. It also contains minerals such as zinc, calcium, magnesium. These vitamins and minerals work together and repair your skin cells. Owing to it’s anti ageing properties, it maintains collagen of our skin thus it reduces fine lines. It also stimulates collagen production and thus it tightens skin around eyes. Aloe vera gel hydrates the skin around eyes and makes it healthy. Dehydrated skin is one of the reason for wrinkles and dark circles. The anti bacterial property of aloe vera gel keeps eye infection at bay. Coffee has a component called tannin that helps to heal eye problems like dark circles and puffiness. The caffeine present in coffee effectively maintains the balance of water content around eyes and thus reduces puffy eyes. Potato juice prevents ageing sign and wrinkles. It also contains vitamin A and B which helps to clear dark circles. It also contains catecholase enzyme that helps to remove pigmentation and dark circles faster than any other natural ingredient. The starch content of potato not only removes dark circles but also helps to make your eyes brighter. It slows down ageing process. 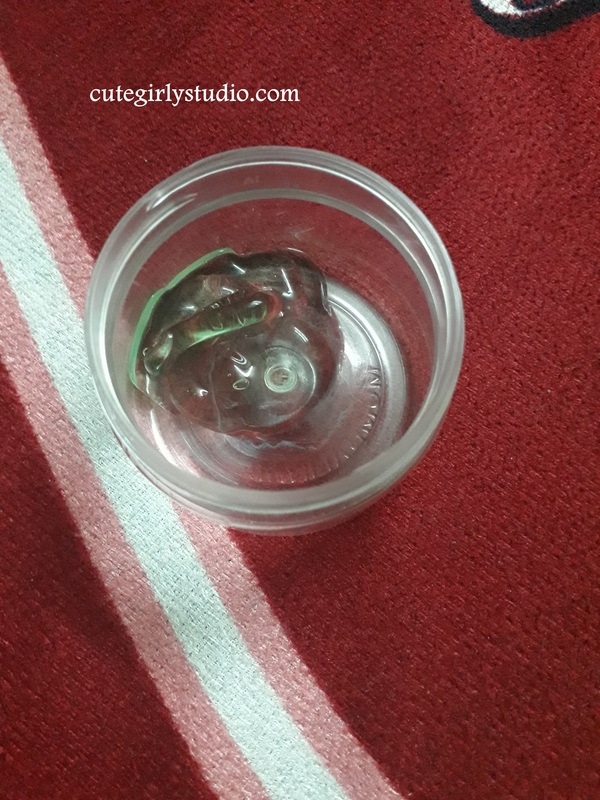 Read about my potato ice cubes to remove tan, pigmentation and scars here. Rose water has skin lightening properties that helps to lighten dark circles. It also has astringent properties which makes it perfect to use as skin tightening ingredient. It is extremely beneficial for puffy eyes. Do try this simple eye mask and do let me know your results in comments section below. Don’t forget to subscribe my blog. Follow me on Facebook | Instagram | Pinterest .